LEADER is an integral part of the EU funding framework administered through the national Rural Development Programme (RDP) of each EU Member State, supporting the delivery of local development actions in rural communities. 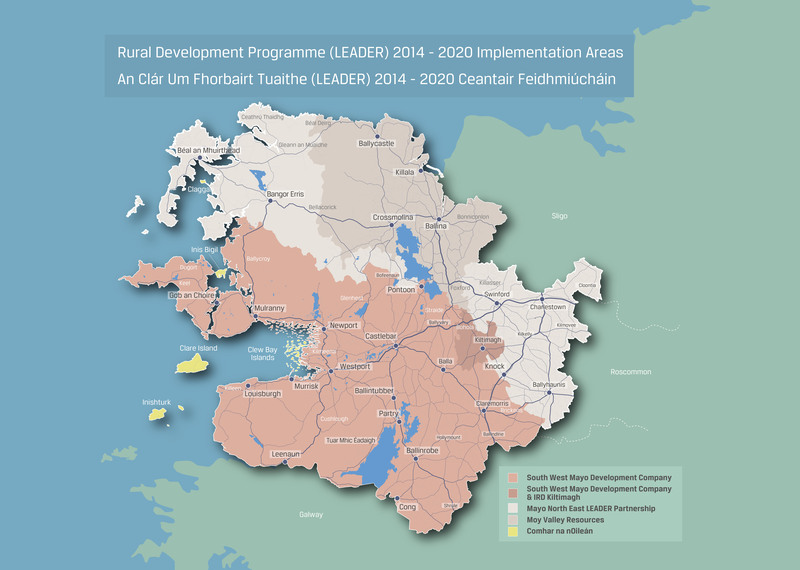 This page is designed to give some information on LEADER in Mayo over the course of the new 2014-2020 programme. It is a community-led Local Development (CLLD) approach, where rural communities develop responses to key economic, environmental and social challenges identified in their areas. Since its launch in 1991, LEADER has supported the delivery of local development actions in rural communities and has formed an integral part of the EU funding framework, through the national Rural Development Programme (RDP), of each EU Member State. The Department of the Environment, Community and Local Government (DECLG) is responsible for the delivery of LEADER in Ireland. There is approximately €11m in funding available to Co. Mayo. Moy Valley Resources IRD will be working with Mayo LCDC to deliver LEADER in Mayo and to help individuals, communities and small enterprises to identify projects and secure funding that will benefit the Ballina Municipal Distruct as a whole. Information on the types of projects that will be supported and the grant ceilings that apply can be found in the Moy Valley LEADER Information Booklet. 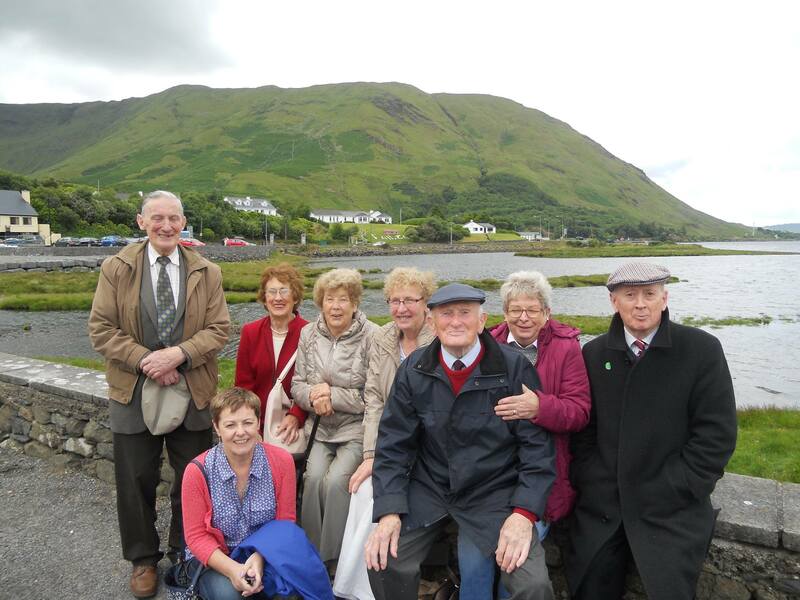 What is Moy Valley IRD’s involvement in LEADER in Mayo? Guaranteed additional support for the Ballina Municipal District by way of a Community Development Officer to work with and on behalf of communities and applicants in the area and help them, not just with their applications but in seeing their projects through to fruition. Contributing to the implementation of robust procedures and protocols to monitor actions and progress for all LEADER players that will secure better outcomes for applicants. Moy Valley Resources IRD will have an “animation” role throughout the area marked in the map below. Empower communities to build & safeguard their futures – Our role in LEADER should be not to dictate what communities should do, but rather to support, enable and empower them to make decisions and deliver solutions for themselves. Promote Collaboration: Working together for the greater good achieves more. We aim to promote and facilitate collaboration in communities between groups and individuals to maximise resources, avoid duplication and develop effective, efficient solutions. Be transparent: We believe in openness and two-way communication. Our doors are always open, and we will keep you informed on our progress throughout. LEADER should not be just a funding mechanism. Money, in itself is not the solution. Rather, LEADER in Mayo should empower communities to work together, combining their energy, ambition and expertise to drive their futures. LEADER can also provide a stepping stone to further development and other income streams. Together, we can work to safeguard and build a brighter future for our communities. We want a fair and representative say in our future, and investment that ensures that communities in North Mayo can work together to recover and grow in co-operation and collaboration with Co. Mayo as a whole. We want to work to serve the communities of North Mayo, with you and on your behalf. The LEADER Application process this time is a two-step process – project applicants must first submit a short Expression of Interest Form (EOI) and once this is approved, they can then progress to the formal application stage. The information booklet below is designed to give a good overview of LEADER in Mayo and contains information on the types of projects that can be supported, exclusions and the grant ceilings that apply.